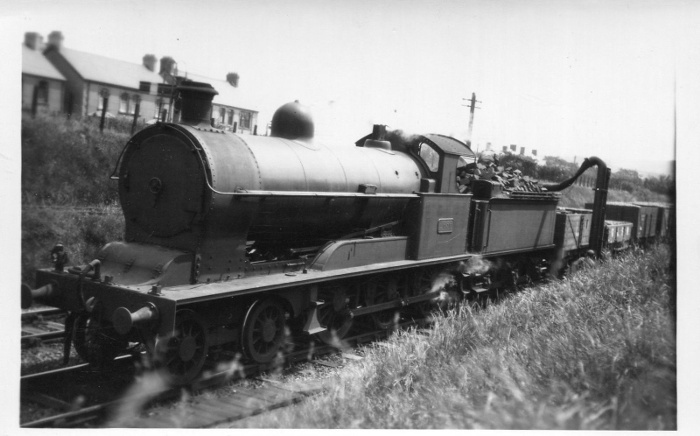 19-inch Goods No.1656 takes water — where? Unusual to position a water column on a running line not in a station. The date must be a couple of years after the grouping as the first wagon is lettered LMS, but the second is still in G&SWR livery. Does a member have any ideas as to the location, date and positioning of water column?